Although the term “learning engineering” was coined more than 50 years ago, it is still an emerging field of study. Learning engineering is a process that applies the learning sciences using engineering design methodologies and data-informed decision-making to support learners and learning. In the past 50 years, discoveries about how people learn have influenced how people teach and learn, and there are many new findings still to be applied. While engineering is the application of creativity and science to solve problems, learning engineering is the creative application of learning sciences and engineering principles to solve problems for learners and learning. Learning engineers create and iteratively improve the conditions and experiences for learning. education research, which is focused on models and interventions at the classroom level and above. Learning engineering is about people. Human-centered design focuses on the learner. 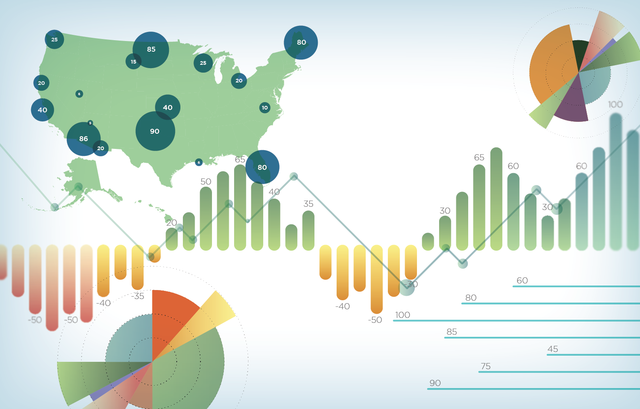 Data informs design decisions. The engineering process guides design choices that promote robust student learning. According to a paper published in Cognitive Science, learning scientists say that learning is robust when the student retains information over time, can apply the learning to new situations, or can draw on the learning to accelerate learning in other areas. Learning engineering is a team sport. The problems that learning engineers try to solve often are too big to be handled by the skills of any one person, so education agencies, institutions, and organizations that support schools compile multidisciplinary learning engineering teams. The composition of the teams varies based on the problem to be solved. Learning engineering is data driven. Unlike traditional instructional design, curriculum development, or lesson planning, learning engineering emphasizes data use to inform an iterative design, development, and improvement process. This is different from having researchers evaluate the efficacy of a curriculum or methodology after it is fully developed and deployed. Continuous access to data is integral to the process and products of learning engineering. Duolingo, the award-winning language learning app, is an example of a learning environment and set of learning experiences developed using learning engineering. One of the ways in which Duolingo is innovative is in its use of game dynamics to motivate learners. “One of the tricks is figuring out how to marry things that are pedagogically sound with things that are reinforcing motivators,” said Burr Settles, who leads Duolingo’s research group. To figure these things out they use engineering techniques rooted in scientific research. “We run controlled experiments for almost everything we change,” he said. The spacing effect, a human learning characteristic, was first discovered over a century ago. This term refers to the finding that people are more likely to remember something if they spread out the learning over time, rather than cramming it in all at once. More recently, learning scientists discovered the lag effect: people commit information to long-term memory better if the time between study or practice increases gradually. Still other research showed that the best time for people to practice is right before they’re about to forget something. Their model, called half-life regression (HLR), predicts when someone will forget a word. HLR takes in data about a student’s practice history (when the student practiced and whether or not the student remembered correctly) and data that indicate how difficult a word is to memorize, compared to other words. Given data about the times a learner practiced a word, the app predicts the best time to practice next. Join QIP at the IEEE IC Industry Consortium on Learning Engineering (ICICLE) 2019 Conference on Learning Engineering to be held May 20 to 23, 2019, at George Mason University Arlington Campus, Arlington, Virginia. The conference will bring together professionals from industry, academia, and government to contribute to the development of this emerging field, share ideas with key stakeholders, and help further define the discipline of learning engineering. QIP is one of 71 sponsoring organizations of ICICLE, an organization aimed at advancing learning engineering as a professional practice and academic discipline. QIP is supporting the conference by producing a video. Jim Goodell (@jgoodell2) is Senior Analyst at QIP. He works on connections between education sciences, policy, practice, and personalized/optimized learning. Learn more about Jim here.